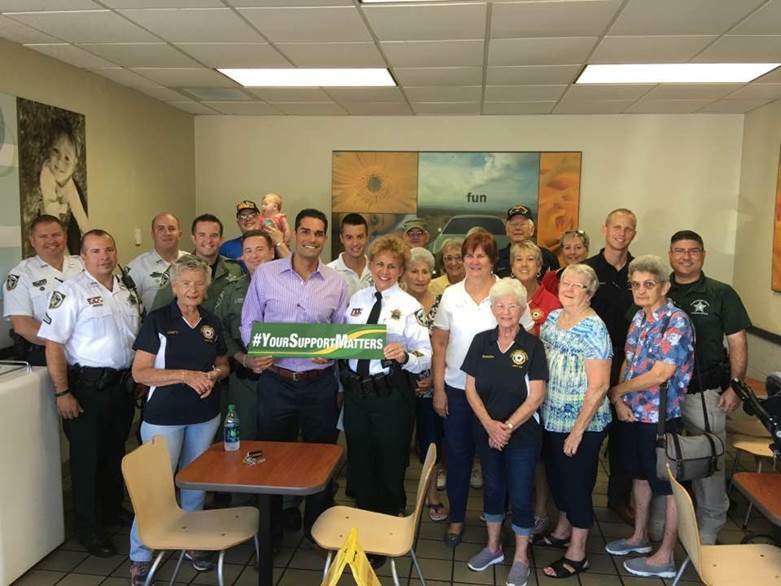 On July 21, 2016 members of American legion family post 152 had coffee with some of the local law enforcement officers at the McDonald's on Erlich road. All who are veterans of the armed forces were presented with the Post 152 challenge coin including Capt. Bradford who did not serve but as a courtesy she received one also Mary.